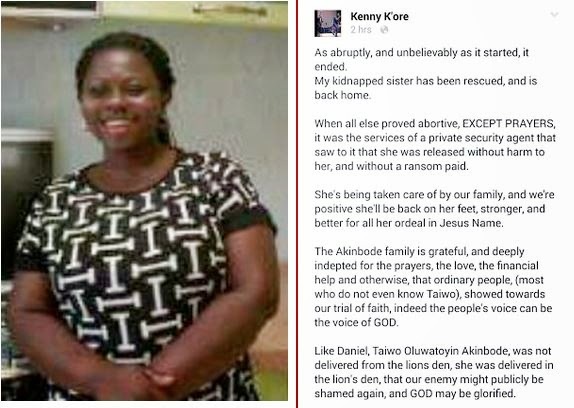 The twin sister of Kenny K’ore, former member of Infinity Gospel music group, Taiwo Oluwatoyin Akinbode has been found. She went missing after travelling to Port Harcourt on April 16 for a job prospect. Her brother took to his Facebook page to announce she has returned home.